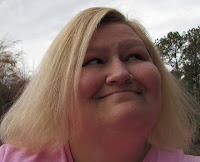 Our church had an Easter egg hunt for the children Sunday afternoon. The kids who were 3 and under searched for eggs together. 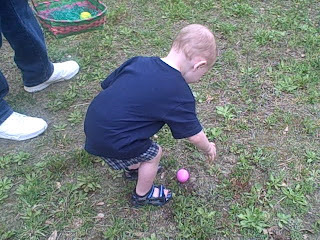 Hunter is 20 months old, so this was his first time hunting for eggs. I felt so bad for him, he found one egg, but he had to climb two steps to get it, and by the time he got there an older child had grabbed it. He did end up finding one more, but I had to point it out to him. He only gets the eggs that are right out in the open, lol. 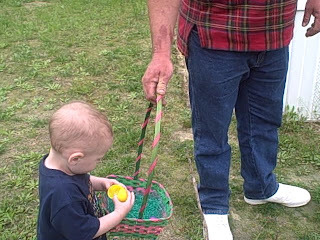 So, since he only got one egg at church, I hid some eggs for him and his brother to hunt for a little later. For Mitchell, I made the eggs hard to find. But, for Hunter, I left them out in the open. Sometimes even if they were right in front of him, he walked right past them. 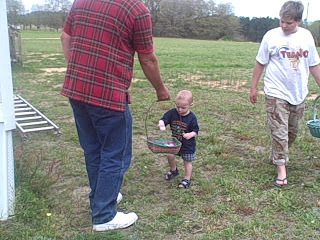 He had a great time looking for eggs. He loved opening them and seeing if something was inside. The yellow egg in the picture below kind of looks like it's on the ground, but it was really in the air. He had just thrown it in the basket. 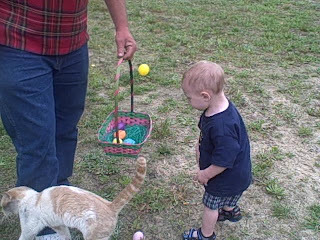 We have a party on Friday, so maybe he will learn a little more about hunting eggs. If not, there's always next year. Poor little guy, losing his first egg to that big kid!